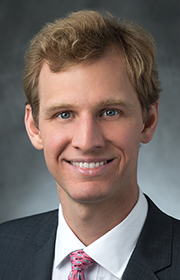 Klayton Kovac – Tudor, Pickering, Holt & Co.
Klayton Kovac serves as an Associate in the Investment Banking division. Kovac previously worked as an investment and research analyst at Fidelis Realty Partners. Before that, Kovac served as an analyst at Encompass Capital. Kovac started his career as an Analyst, then Associate at TPH&Co. in the Equity Research division. Kovac holds a BBA and Masters in Accounting from Texas A&M University.